I saw for the first time the Jamsil stadium is full of people without Korea boyband fan. When the concert begin, the rain comes. I don't know why they begin 20 minutes late. Is it because of the video or other reason? Because of that, after the concert, I must ran to the subway because of the last train and the bus. Actually I don't know much about Beathles. However I think I must see his concert. I don't know almost of Beatles song. After the concert, some Beatles wrote on the internet about the concert. When Paul sing for John and George, many Beatles fan touched. However, almost people are just know Hey Jude and Yesterday. At that time, only core Beatles fan scream and shout. Some Beatles fan feel little dissapointed about this situation. 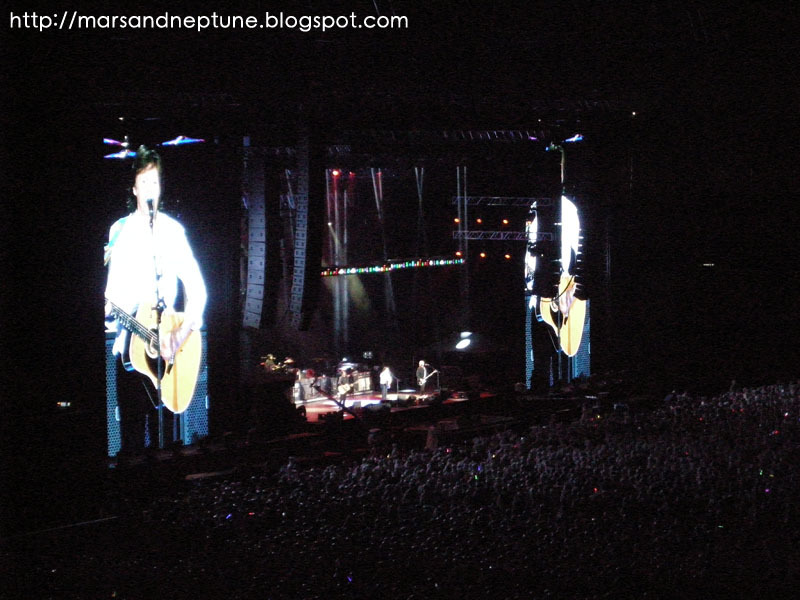 When I searched about Paul's concert on the internet, some people write article in her blog. She (or he) get free ticket. She wants go out because it was rainy during the concert, however Paul's concert was good so she stay until the concert end. I went many concert in Korea, so I saw many situation like that, I am not shocked anymore. The concert's scale is so huge. I think there are no concert in Korea like that huge scale. Hyundai Card spent lots of money to invite this concert. Because of this huge scale of concert, it is hard to see the concert like that because of Korea's small music CD industry. I am not sure we can see him again in Korea.